Is it just me or do siblings close in age always want what the other one has? 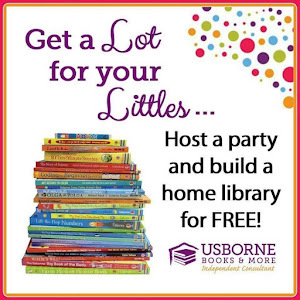 A toy, a book, a plate, or even a party, and I don't just mean the presents either! It always happens at my house, the girl with the summer birthday chooses her party theme, and then the girl with the fall birthday wants the same thing resulting in much pouting and "it's not fair" whining. 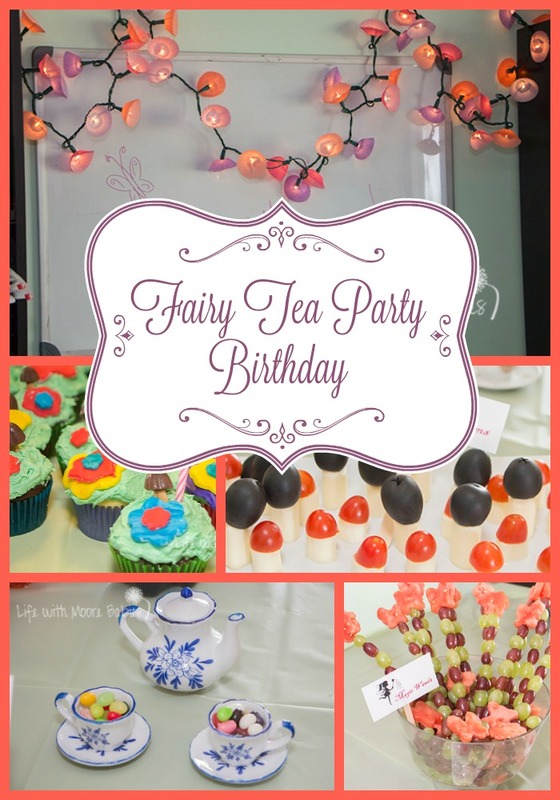 This year my older daughter had an Alice in Wonderland Tea Party Birthday; unfortunately for the younger I would not have the same party twice, so we had to find another reason to have a tea party for her birthday. 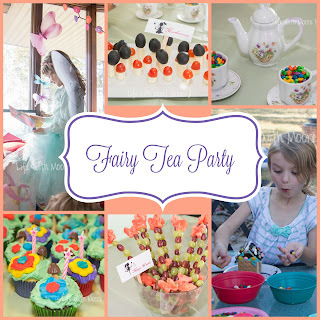 Enter her Fairy Tea Party Birthday! 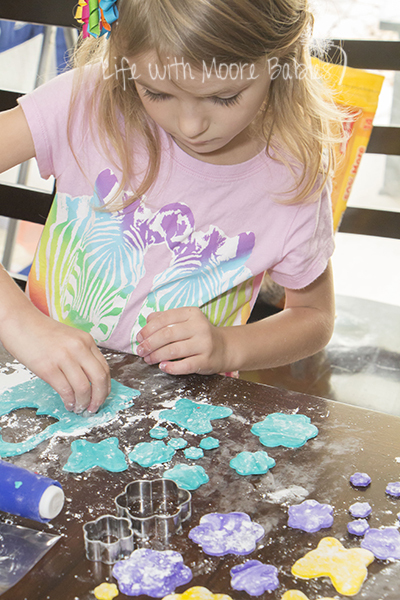 To start with we used a clever little trick to make flower lights! Just take a green strand of twinkle lights (white would work too, but it wouldn't look like foliage), and pop colorful mini cupcake wrappers over each light. Make sure they lights are ones that don't get too hot! We also hung nylon butterflies throughout the house. 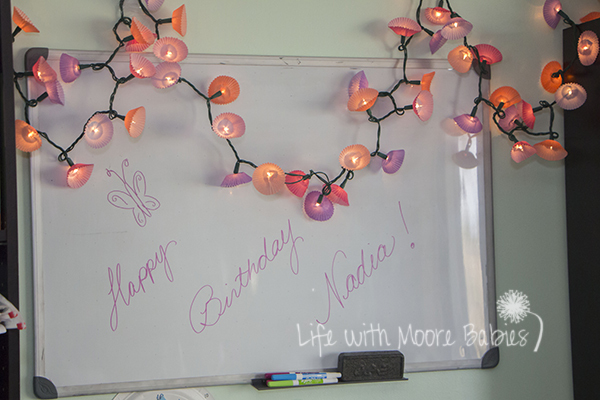 These are the same butterflies that hung in the girls nursery when they were babies. 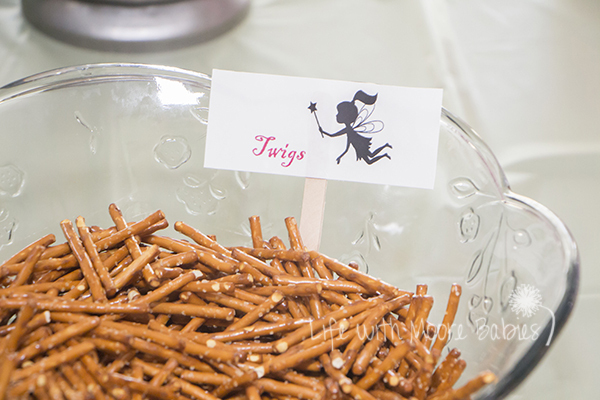 Yes, I have hung on to them for over 7 years just in case I needed them for a girly party one day! I don't have many pictures of them, but you can see some in the photo below along with the birthday girl and her tutu and wings! 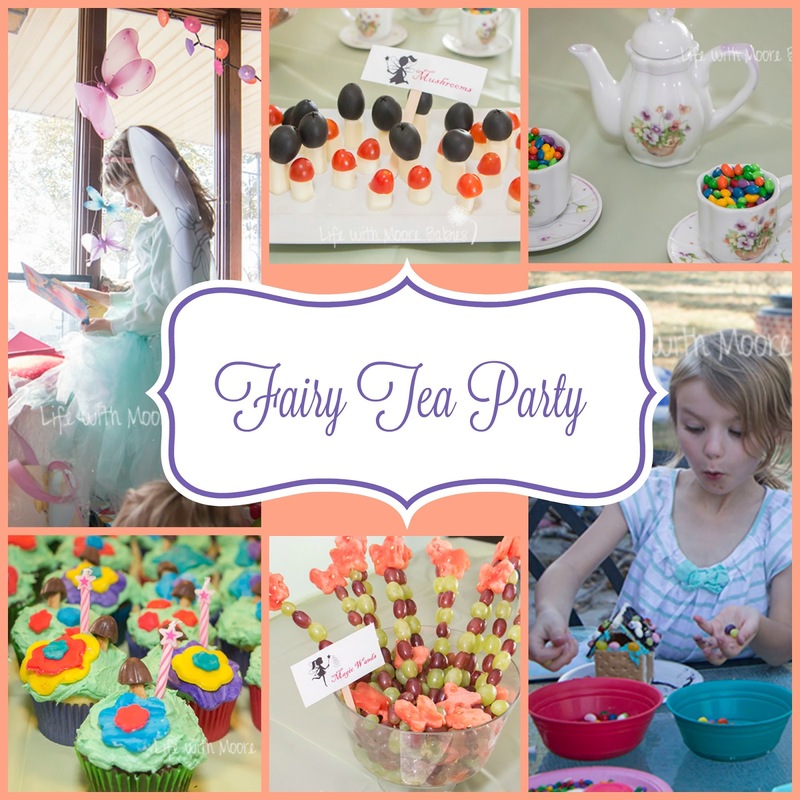 And what is a tea party without tea pots and tea cups! My husband did not want me using my grandmother's tea cups, so I used my girls tiny tea sets instead. 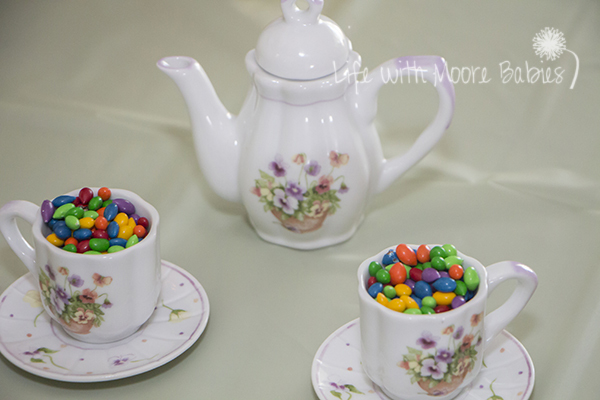 They set on the table with chocolate covered sunflower seeds in the cups. They were adorable and fairy sized! Wish I had remembered to use them for the Alice in Wonderland party too, but at least my younger daughter gained something from not being the first tea party! 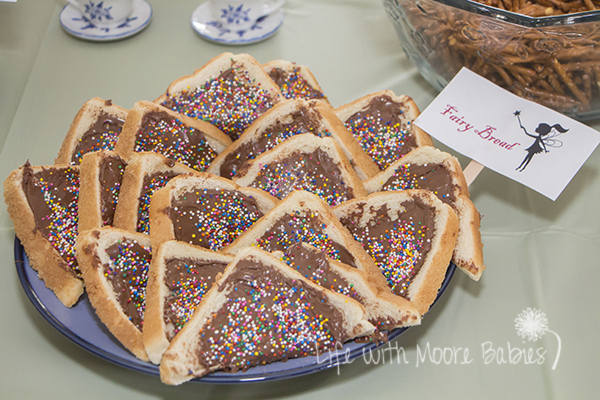 The rest of our fairy themed food included snail shells (meat, cheese, dressing all wrapped in a tortilla) and fairy bread using Nutella and sprinkles rather then icing and sprinkles. 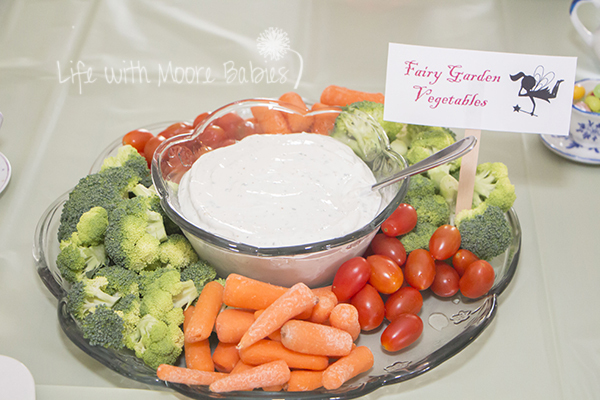 We also had fairy garden vegetables, twigs (pretzels), and mushrooms (cheese sticks with jumbo olives and cherry tomato halves on top) on the side. 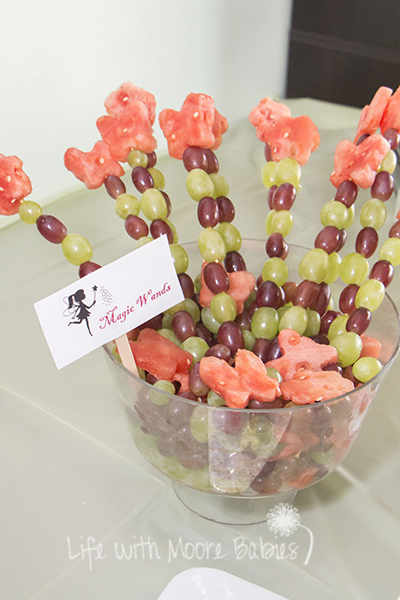 Adorable fruity fairy wands added some sweetness too! For those who didn't want to eat off a stick, there was a fruit salad in the bowl! Drinks include the usual soda and water with the addition of hot tea for those who wanted it. The kids really liked the herbal fruit tea too! What tea party would be complete without some cute little tea party dessert! 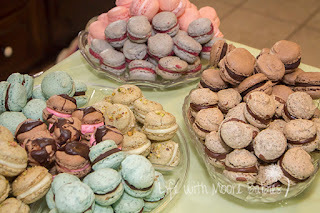 Instead of petite fours, I went with macarons! I made these a couple weeks before and froze them for the party. They freeze so amazingly well! 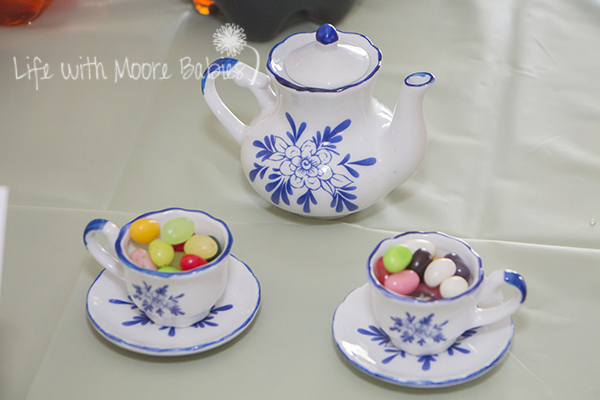 Super cute for a tea party especially since I included some earl grey tea flavored ones! 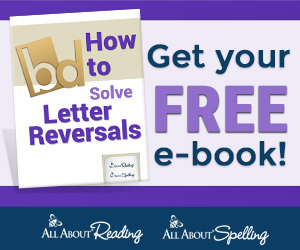 But of course you still need cake! 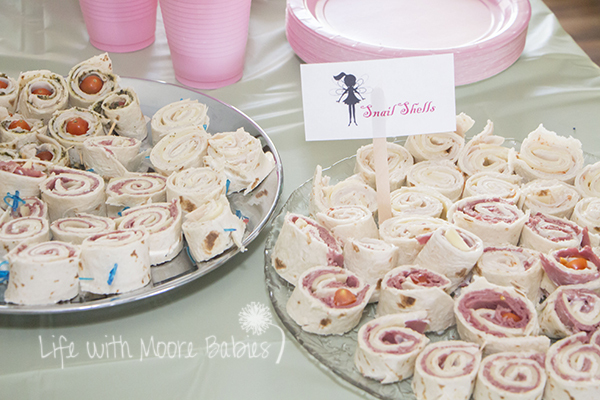 There are tons of adorable fairy party cakes out there, but I went the easy way this time. 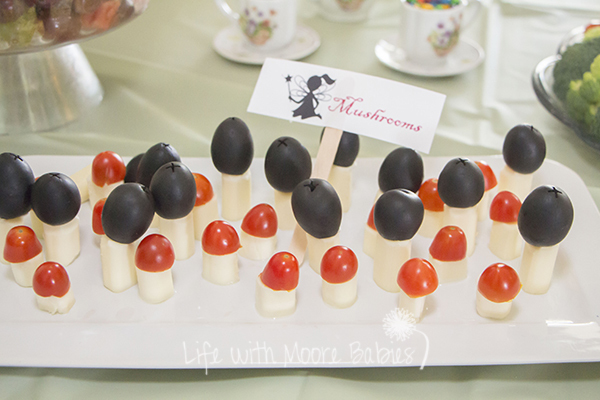 I found these adorable choco-rooms (mushroom shaped chocolates) that would be perfect for a fairy party! Strangely I only found them around this party, and I haven't seen them since. 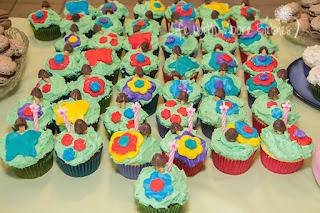 They inspired me to make simple cupcakes, each with a mushroom and a flower. They weren't my only inspiration for keeping things simple though. This past fall the girls had a cake decorating class in their homeschool co-op; I thought this would be a great time for them to practice their skills and help out! 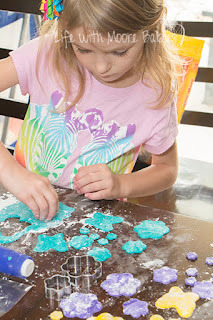 So iced the cupcakes with green buttercream and mixed up some marshmallow fondant; then they spent an afternoon rolling and cutting flowers and butterflies to adorn the cupcakes! And they owned it! 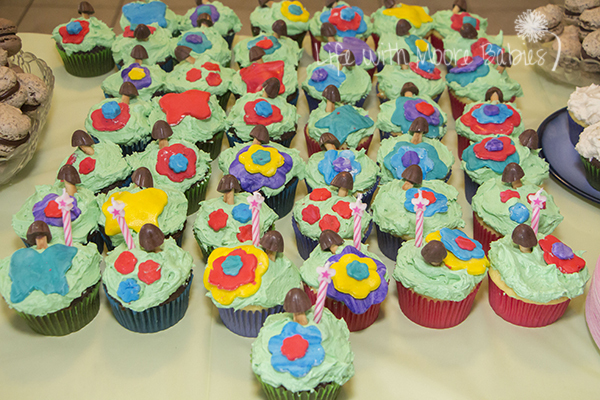 They absolutely loved the end result of their cupcakes; really, I don't think I could have decorated a cake that they loved more! 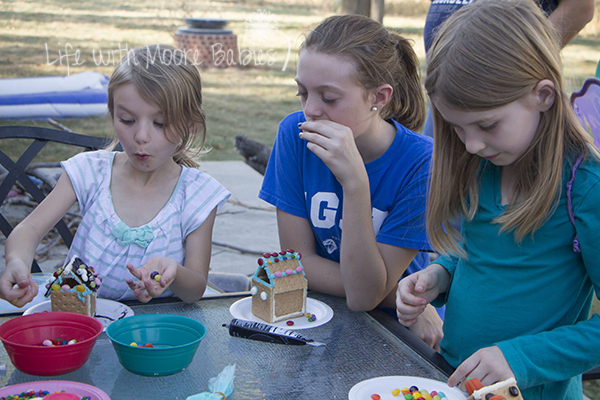 After cake all the kids got to try their hand at decorating, but instead of cakes they decorated tiny fairy houses. We built these houses from graham crackers and stiff buttercream (I just added more powdered sugar). 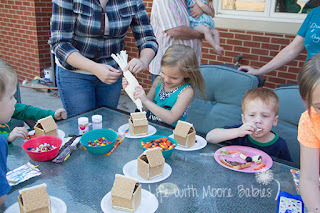 Each child got a house and they all shared tubes of icing and way more candy then any kid could every need! 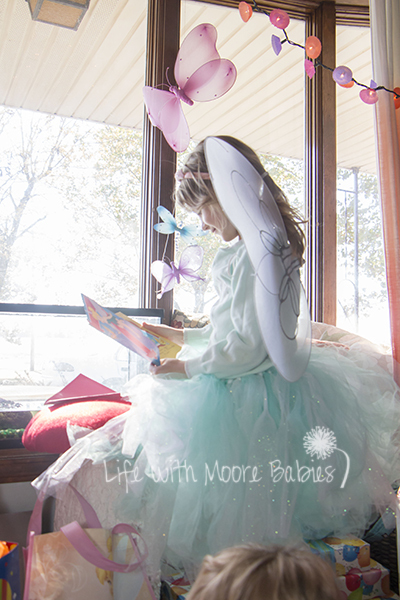 Then each kids got to take their fairy house home! I much prefer party activities that can double as favors to traditional favors, and this fit the bill! 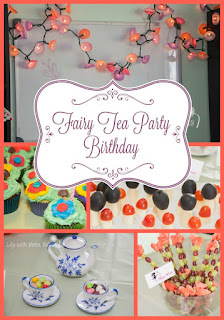 Overall I this party was a perfect mix of tea party and something different to satisfy both my daughter and me! 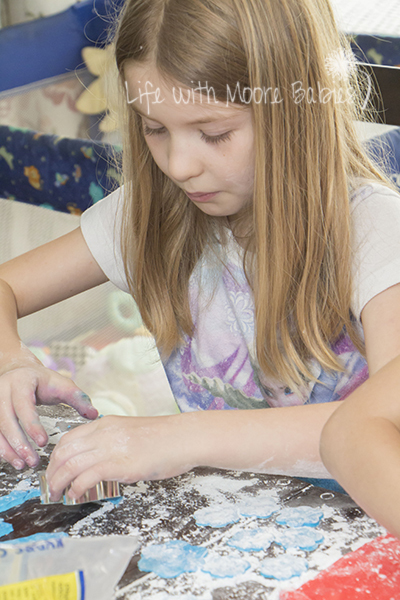 I guess spinning things around, so they are similar yet different, is how I approach it when my daughters always want what the other one has whether it is a toy, a book, a plate, or even a party!